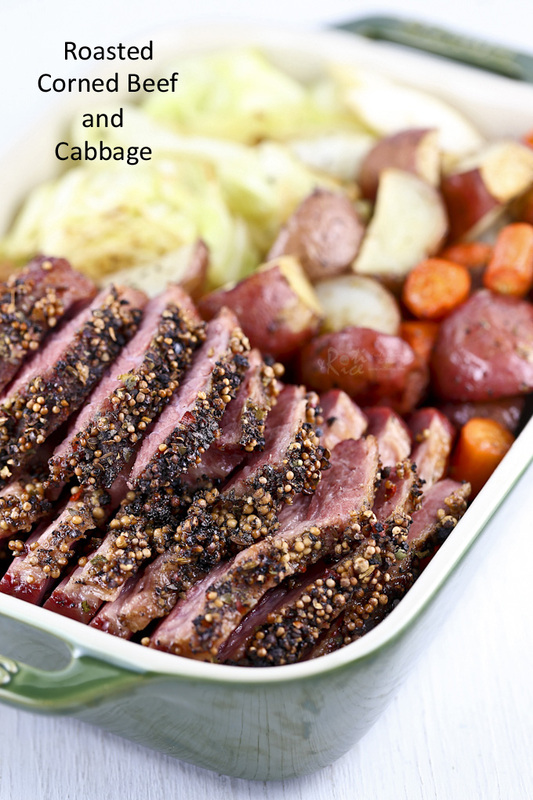 Whether or not you are Irish, Corned Beef and Cabbage is a must-have at this time of the year. Every grocery store will offer a sale price on this cured meat and cruciferous vegetable. Often times they are placed side by side, making it very convenient to pick up one of each to bring home. I have to say that is a very effective marketing strategy as I have been doing just what the stores intended for the past several years. By now, the family expects a Corned Beef and Cabbage Meal come St. Patrick’s Day. Both my sons were home this past weekend for Spring Break and I took the opportunity to prepare this tasty meal for them. So far, I have always slow or pressure cooked the corn beef with very good results. There was only one time I tried roasting it and the meat came out less than perfect. I did not roast it long enough for the connective tissues to break down. Unlike steaks which should not be overcooked, beef brisket is a tough cut of meat that must be cooked for a prolonged period of time for it to be tender. I was determined to do it right this time. 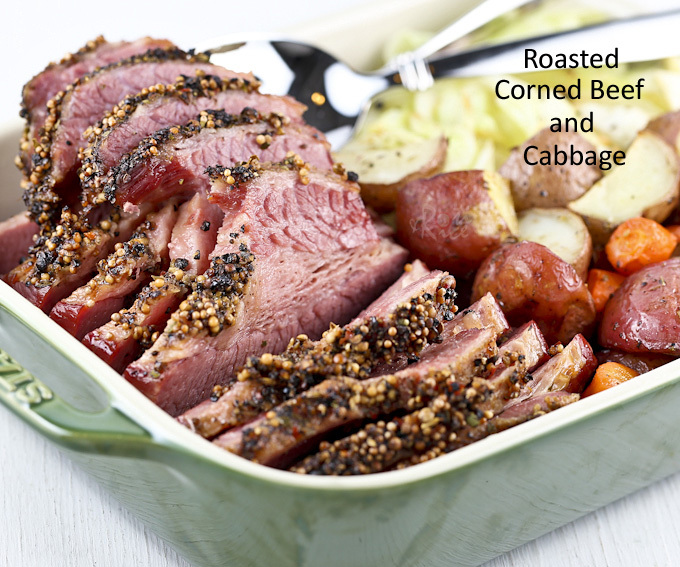 Apart from pressure or slow cooking, braising is another effective way to cook corned beef. This can be done on the stove or in the oven. The latter is easier as it requires a little less supervision. Simply place the meat on a rack in a roasting pan filled with water. Then seal it tightly with aluminum foil and stick it into a slow oven until the meat is fork tender. I did remove the aluminum foil during the final hour of cooking to allow a crust to form at the top. Rinse corned beef well with cold water and pat dry with paper towels. Place on a wire rack in a 13 in x 9 in pan with fat side up. Place black peppercorns in a small Ziploc back. Crush with a mallet. Sprinkle and press spice mix and crush peppercorns on the top of brisket. Fill roasting pan with water. Cover pan completely with a large sheet of aluminum foil. Roast in a preheated 325°F (165°C) oven for 2 hours. Place baby potatoes and carrots in a roasting pan. Sprinkle dried thyme and some salt over vegetables. Add olive oil and mix well with a spatula. After 2 hours, remove corned beef brisket from oven. Carefully peel aluminum foil covering roasting pan away from you as hot steam will be released. Increase oven temperature to 350°F (180°C). Return corned beef brisket uncovered to the oven. Also place prepared vegetables in the oven and continue to roast for another hour or until internal temperature of corned beef is 185°F. Check for tenderness and continue roasting until fork tender. Tent beef with aluminum foil if crust is browning too quickly. Roasting time should be approximately 1 hour per pound. 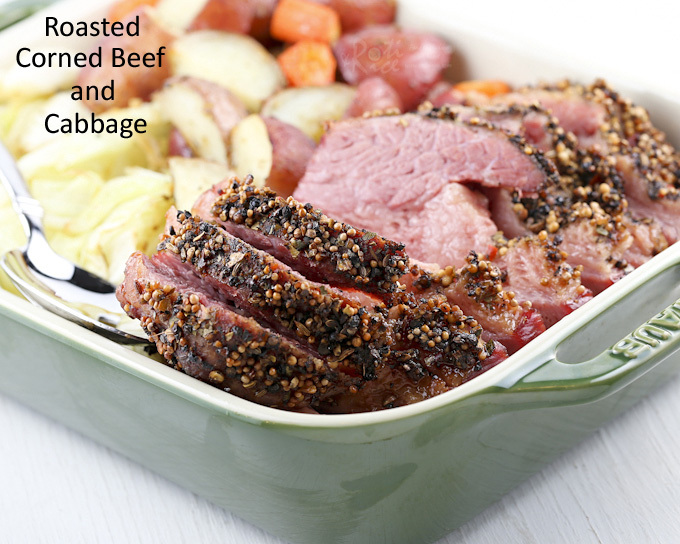 Remove both corned beef and vegetables from oven. Tent with foil and allow beef to rest. Heat vegetable oil in a large pan on the stove. Add mustard seeds and allow them to pop. Then add minced garlic and continue to stir fry for 20 seconds. Add cabbage wedges. Allow them to sear for 1 to 2 minutes before flipping over to sear the other side. Add ½ cup (120ml) water and some salt. Cover and allow cabbage to cook for 3 minutes. Turn off stove. 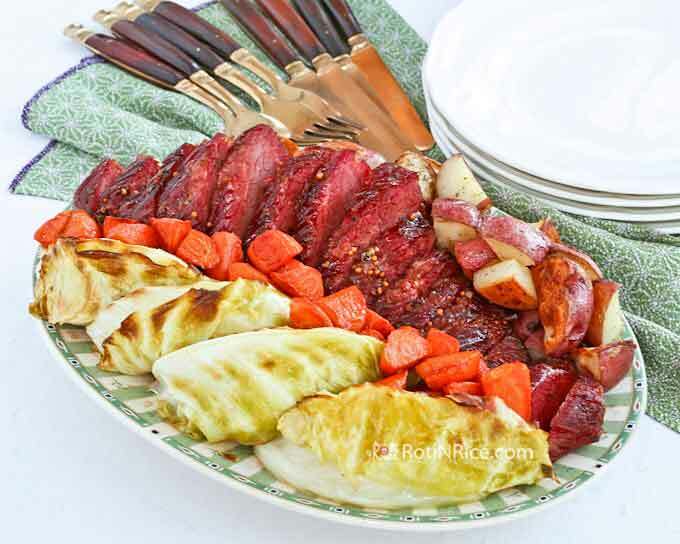 Transfer cabbage, roasted potatoes, and carrots to a serving platter. Slice corned beef against the grain. Served with horseradish and soda bread. 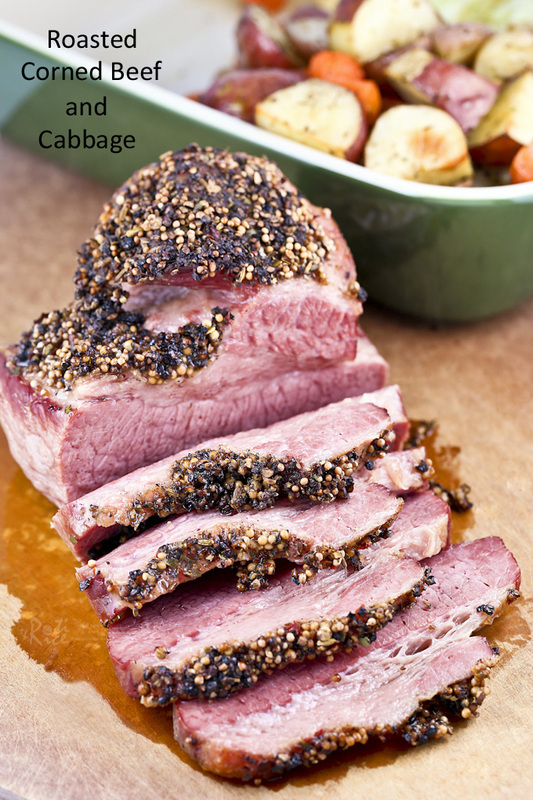 If you like a beautiful glaze on your meat, try this Guinness Brown Sugar Corned Beef. It is a winner! For my slow cooked version, simply click on the image or post link below to view the recipe. 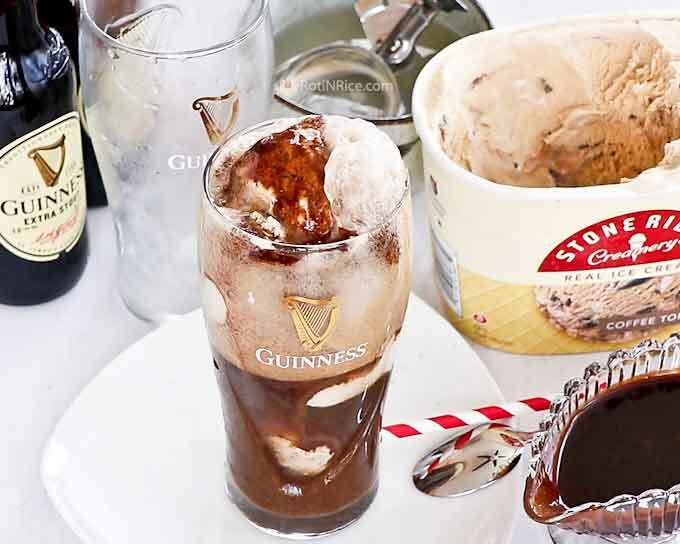 For dessert, do check out this Guinness Chocolate Syrup Ice Cream Float. It is yummy! Thank you so much for this recipe! I bought a corned beef brisket for the first time, and then realized when I got home it didn’t have instructions for cooking. Your recipe looks so delicious that I will be trying it for my first homemade corned beef dinner. 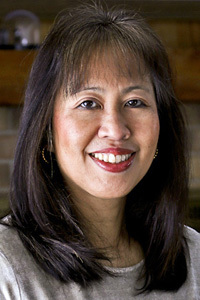 You should give this method a try, Ramona. I think you will really enjoy it. I usually make the beef to slow cooker way but I will try this metod next time. Thanks for the recipe. 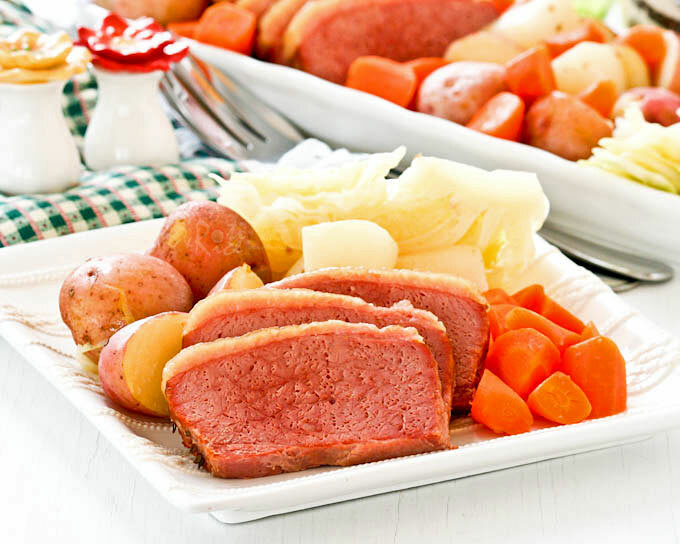 I just made this tonight…I’m Irish and I will never do a boiled dinner again…THIS recipe was the BEST I have ever tasted!!! I’m going to try this today. So glad you have the pictures! !